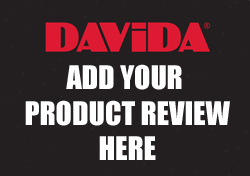 Home › davida news events and features › Did You Win The August Triple Chance Prize Draw ? BEST VISOR ON THE MARKET - when i ordered this to go with my speedster v3 - I hoped this visor would work as well as the reviews say. Well it does - its exceptional. BARGAIN! - These are better than my cycling oakleys for a fraction of the price. I carry them with me even though I have the goggles just for a different look and feel depending on the weather and the trip. Just great. COMFORTABLE FACEMASK - This is my first face mask, I've been using buffs or bandanas before and I must say this is way more comfortable. Obviously it has more wind stopping effect and on longer rides it´s a deal breaker for me. And it looks awesome!